From its pre-Columbian origins, the implementation of the Solidarity Economy has been growing during these last decades in the countries of Latin America and the Caribbean and accelerated the process as it has been developing in the continent of the denominated “New Economy.” This work is a theoretical article with the objective of analyzing the two modern ways of implementing the Solidarity Economy: through the creation of quadruple helix models based on solidarity (Mexico) or through the practical application of McClelland’s N-effect using civil society from virtuous circles of community economic drivers (Puerto Rico). Because of this implementation process, the Solidarity Economy has ceased from being a guild and welfare, to become an economic and financial alternative for economically disadvantaged sectors based on shared values and a shared project. 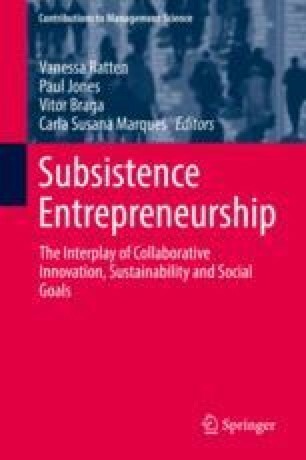 These analyses are complemented by a SWOT analysis and by the theoretical study of the direct relationship between the Solidarity Economy and the combination of social entrepreneurship and transformational entrepreneurship to create, in a novel way, virtuous circles of economic growth. The article concludes with ideas that briefly emphasize the importance of applying open cooperativism in the fight against inequality and poverty.